So, remember last week when I was on a little bit of a fashion kick? Well, I’m switching gears now and am mildly obsessed with cute packaging products, so expect a few posts on that this week. First up? Adorable picks from Packagery, which would be perfect for any rustic or retro-kitsch wedding. From a variety of pretty paper doilies to fun colors of baker’s twine, Packagery has a lot of great options that can be incorporated into your wedding details. 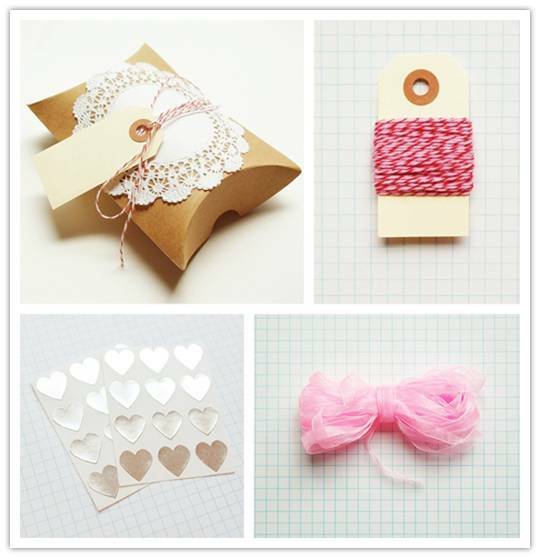 I love the idea of wrapping your invitation suite in some pretty organza ribbon or baker’s twine. There are even some favor kit options available that are quite lovely, so check out their Etsy shop! Wow.. Nice Blog. thanks for sharing this..